Every educator knows the secret to success is failure. ^IfMine was designed with just that in mind: Iteration. “Fail Forward” is our motto. ^IfMine was created from the ground up by an educator and designer. We know how important it is take an idea or a project and Evolve It. Our application allows versioning of your project from the day you start, without losing your followers or having to create a new project. Where other collaboration tools require a completely new shared document or a whole mess of emails getting back on the same page, ^IfMine uses the Follow mentality to keep your fans, Collaborators and Mentors up to speed with your latest Evolution. With ^IfMine, project feedback has never been easier. Whether you’re looking to help someone or simply want to explore new and exciting ideas, we will connect you with the best projects and people our community has to offer. 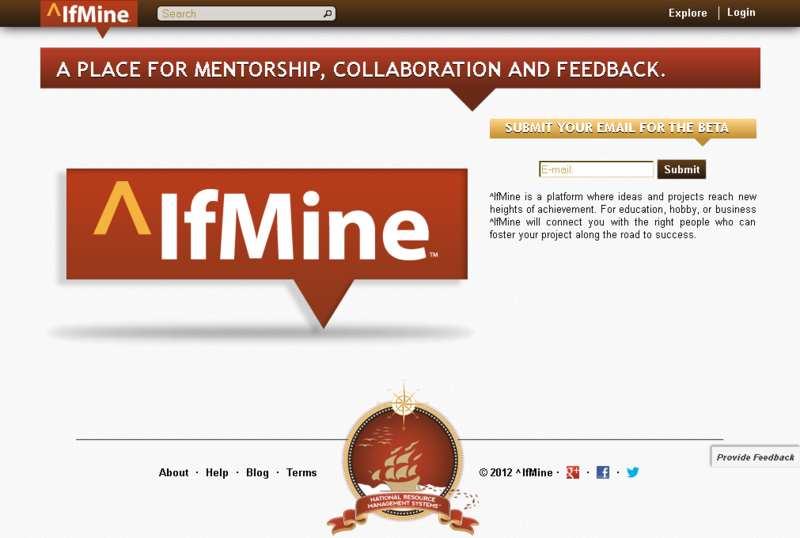 ^IfMine is looking at education and online learning with a keen interest. According to the Sloan Consortium, over 5.6 million people took online classes in 2009 and that number is growing. How did they manage their papers, projects and ideas? Likely, by passing around emails or using clunky discussion boards in outdated learning management systems. Isn’t it time our students had the opportunity and functionality of their favorite social sites facilitating a better education? At ^IfMine, we believe so. We’re passionate about improving our services to make building successful projects easier for students everywhere. Where is ^IfMine going? We’re a young company with a big vision and a small product. We’re flexible and able to grow the demands of our community. ^IfMine is poised to jump into mobile platforms, increase engagement through gamification and enhance our users ability to find the right mentor for them. About the Author: Anthony Fontana is the Lead UI+UX Designer and Art Director for ^IfMine. He’s also a Learning Technologist and an Instructor of Art at Bowling Green State University in Ohio. 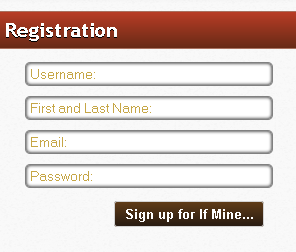 Visit ^IfMine to see what we have to offer and to sign up for our beta group. ^IfMine is a revolutionary new way to create, manage and evolve your projects. We’ve made an application that puts you in control of the things you care most about in life: your goals, your passions, your projects. Like other project management tools, ^IfMine is a one-stop place for people to collaborate on projects and turn ideas into successful endeavors. It’s also the latest innovative social network looking to create a community built upon professional mentorship and human interaction. 1. Visit the ^IfMine website. 2. 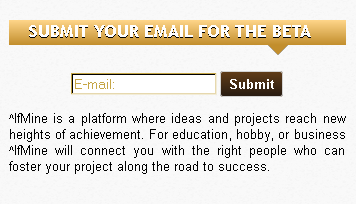 Submit your email for beta testing. 3. When approved, you’ll receive an email with a link to register. Fill out the form to create your username and password. 4. After registration, go to your profile page and add a square photo of yourself. 5. And add your (short) biography. Now, you’re ready to Explore projects, become a team Collaborator or Mentor, share your own project ideas and invite others to join ^IfMine. Stay in touch with ^IfMine on Twitter, Facebook, Google Plus and Pinterest. *Post updated 11/6/12 due to website design changes.